We looked at the top 10 Dehydrators and dug through the reviews from 118 of the most popular review sites including Kitchen Gear Zone, Consumer Online Report, Dehydrator Diva, Happy Happy Vegan, Village Bakery, Exchange Bar & Grill and more. The result is a ranking of the best Dehydrators. Our experts reviewed the top 10 Dehydrators and also dug through the reviews from 118 of the most popular review sites including Kitchen Gear Zone, Consumer Online Report, Dehydrator Diva, Happy Happy Vegan, Village Bakery, Exchange Bar & Grill and more. The result is a ranking of the best of the best Dehydrators. The Nesco Gardenmaster Food Dehydrator's expandable design means you can squeeze in a large quantity of food without taking up storage space in your home. The 1,000 watts of power also pushes air evenly over food, ensuring quick, even drying that takes hours, not days. One downside: You can't remove the trays and use the dehydrator to proof bread or dry large items. DWYM Kitchen Experts plus New York Times Wirecutter, Dehydrated Foodz, How Daily and 1 more. Along with user reviews from Amazon and Best Buy.
" 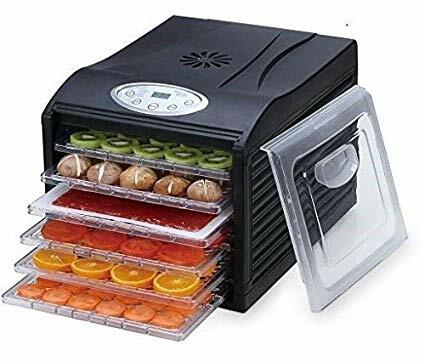 This expandable dehydrator dries food quickly and evenly, without your needing to monitor progress or rearrange trays." "The programming of the fan, which is to work together with the heater, is not properly wired. Most times, the heater will work, while the fan is not functional." For the health conscious, the Excalibur Electric Food Dehydrator brings something that other dehydrators don't. The design ensures a lower temperature that helps foods retain enzymes while still preserving them. It also has a removable tray, so you can use the dehydrator for other purposes when you aren't dehydrating. DWYM Kitchen Experts plus BestReviews, The Gear Hunt, Voice, Top 10 Focus, Dehydrator Diva, Meal Vitality and 3 more. Along with user reviews from Amazon and Best Buy.
" Offers a class-leading 15 square feet of drying space. Thoroughly and rapidly dehydrates food at a level that exceeds competitors." "One of the most expensive on the list." The Nesco Snackmaster Pro Food Dehydrator's unique design helps you squeeze in plenty of food in a small space. You can buy extra trays to get up to 12 feet of drying space. One downside to this unit is that it doesn't have a timer, so you'll have to set an alarm on your phone to ensure you remove the food and turn off the unit once it reaches the end of its cycle. DWYM Kitchen Experts plus BestReviews, The Spruce Eats, Top Ten Reviews, The Gear Hunt, Voice, Top 10 Focus and 3 more. Along with user reviews from Amazon.
" Up to 12 square feet of drying space with additional tray purchase. Fast drying times." "This dehydrator doesn’t have a timer, so you’ll have to be nearby to turn it off when the food is ready." The Samson Silent Dehydrator features whisper-quiet operation, which comes in handy with an appliance that can run throughout the day. One negative, though, is that it ends its cycle with a loud beep. So, you'll want to make sure it doesn't finish drying while you're trying to sleep. Removable trays let you use the dehydrator for other purposes, such as proofing bread and making yogurt. DWYM Kitchen Experts plus New York Times Wirecutter, Heavy, Dehydrated Foodz and 2 more. Along with user reviews from Amazon.
" This Samson dehydrator has digital control panel, a timer, and automatic shutoff. it allows you to easily remove trays to make room for projects that involve bigger items—like proofing bread, drying flowers, or making yogurt." "Temperatures are set. A bit tall. Top vent doesn’t open"
We identified the majority of the dehydrators available to purchase. 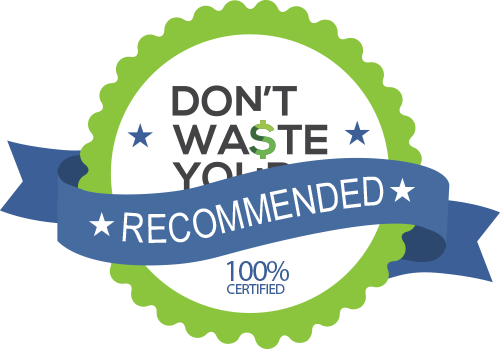 Reviews from our DWYM category experts and analysis of some of the most respected sources including: Kitchen Gear Zone, Consumer Online Report, Dehydrator Diva, Happy Happy Vegan, Village Bakery. This expandable dehydrator dries food quickly and evenly, without your needing to monitor progress or rearrange trays. The design, being an expandable one, makes this dehydrator very versatile since it can carry a lot of food to be dehydrated. With the non-transparent tray sides, you won’t be able to monitor the process- but you can rely on the superior air circulation system to get the job done without the need to check up on it every so often. The programming of the fan, which is to work together with the heater, is not properly wired. Most times, the heater will work, while the fan is not functional. Due to design, can’t dehydrate large items or use for other purposes. Up to 12 square feet of drying space with additional tray purchase. Fast drying times. Block out harmful light using its opaque exterior. Comes with 52 page recipe book, 2 fruit roll sheet and 3 jerky spice packets. Easy to clean function.Efficient in size. You can add 7 more trays to this food dehydrator. That is quite a lot of food to dry in one go and keep all the good elements in them. The dehydrator is very simple to use and easy to set up. An adjustable temperature control the machine is equipped with has 5 trays for profound food drying! It may look small but it can carry up to 6 circular drying trays so users can save time, effort and money by preparing large batches of food at the same time. These trays can expand to 12 trays which makes this unit more efficient than other small-capacity dehydrators. 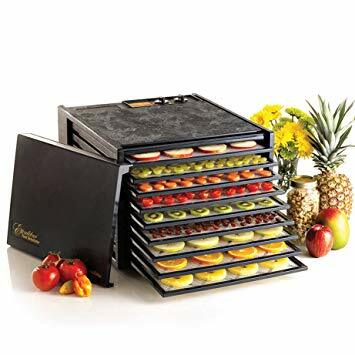 The set includes 5 trays which should be enough for plenty of people but one advantage this dehydrator has is the ability to add more trays ( the maximum number is 12 trays ). All the trays are plastic and made of approved materials. This dehydrator has an adjustable thermostat that ranges from 95 to 160°F. Has a top mounted fan. Foods and flavors never mix therefore there is no reason to rotate the trays. Trays are not safe for dishwasher. No on/off switch. Isolated incidents of electrical failure. This dehydrator doesn’t have a timer, so you’ll have to be nearby to turn it off when the food is ready. This dehydrator comes with just five racks. Fine mesh trays might be somehow difficult to clean. It is handy as a home food dehydrator but is not intended for commercial use. Everyone seems to be trying to eat a little healthier these days. But some of the best foods have a very limited shelf life. It’s frustrating to spend your hard-earned money at the grocery store, only to have it go bad within a few days of purchase. If you have your own garden, you may find that your kitchen is overloaded with produce during the warm months, but find yourself missing those foods when it’s cold outside. The first thing you’ll likely think about when considering a dehydrator is size. 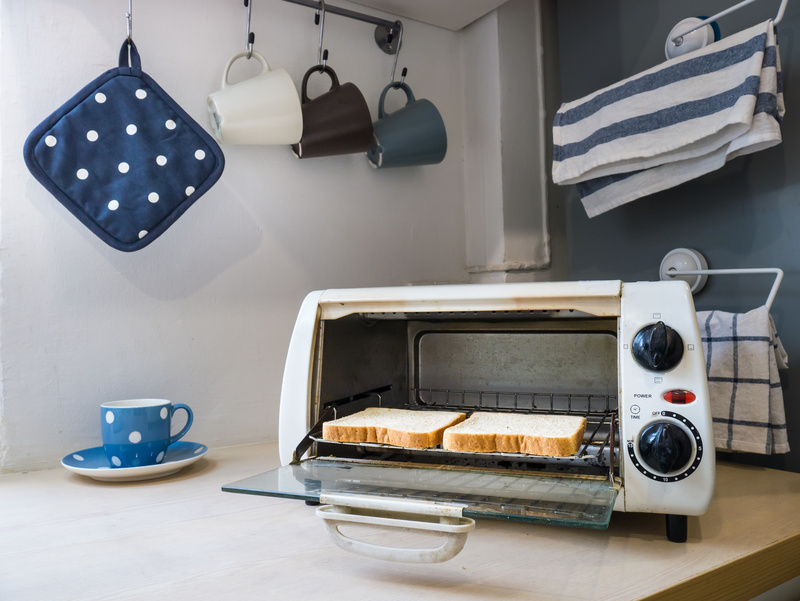 You probably already have limited counter space, so you’ll need a place to store your appliance when it’s not in use. You may also worry that it will end up stuck in the corner of your closet or pantry, gathering dust. There are some food dehydrators that are smaller in size than you may expect, so shop the different models before assuming you’ll have a space waster. Even some smaller dehydrators pack a surprising amount of space for dehydrating. You’ll find it’s all in the number of shelves since stacking foods is the key to squeezing more in. The larger the capacity, the more food you can dry at once, which saves time. But if you’re dehydrating different types of foods, you’ll also want to make sure that the unit doesn’t allow juices to drip to the trays below, combining flavors. You don’t want that stack of citrus fruit to drip into your shelf of cabbage. Cleanup is also an important factor in a dehydrator. Some have shelves you can simply slip out and insert into the dishwasher, while others require hand washing. You may also want to check for a non-stick finish on the shelves of the unit you’re considering since that will make a big difference when you’re cleaning. Controls are also important in a dehydrator. Some have no timer, which means you’ll pretty much have to babysit your food. Others have an automatic shut-off so that when your food reaches the end of its drying, you don’t have to worry about being nearby to cut the power. This is a safety feature that can make a big difference. Speaking of safety, BPA is a concern for some consumers. Since your food will be directly touching the shelving, you may want to search for a dehydrator that promises BPA-free construction. Depending on the hydrator you choose, you can expand your unit well beyond drying out meats and fruits. In addition to cooking yogurt and proofing bread, you can make ornaments, potpourri and even paper. If your home seems to be dry, put a bowl of water in the dehydrator and start it up. The moisture will be distributed to the air in your home, cutting some of that dryness. In the wintertime, if you have small items like gloves that need a quick dry-out, pull your dehydrator out of storage and put it to work. You can even use it as a kiln to dry clay quickly for craft projects. The biggest differentiator with the Nesco Gardenmaster Food Dehydrator and Nesco Snackmaster Pro Food Dehydrator is their design. 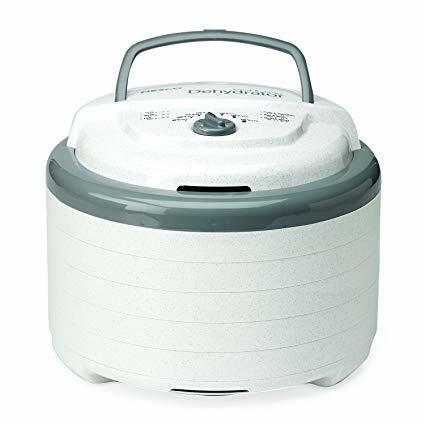 Unlike other dehydrators, those two models have an expandable, stacked setup that allows them to dry multiple layers of food in a small space. It’s a unique, almost spiral look that makes it easy to insert items. The build of a dehydrator makes a big difference in how it works. The Nesco Gardenmaster Food Dehydrator uses 1,000 watts of power and a setup that ensures food dries quickly and evenly. You don’t have to worry about rearranging trays throughout the process. Like the Nesco Gardenmaster, the Nesco Snackmaster Pro Food Dehydrator features an expandable design that accommodates levels of food without adding bulk. But the Snackmaster Pro only has 600 watts of power. The Excalibur Electric Food Dehydrator uses something called Hyperwave Fluctuation technology, which involves maintaining a low temperature to ensure foods retain their enzymes without the spoilage you see when they aren’t dehydrated. Horizontal airflow means that food dries evenly and brings fast results. With the Samson Silent Dehydrator, the top vent, door and fan combine to provide consistent drying throughout. It’s important to consider the types of food you’ll be dehydrating before you buy. If your plans include drying out chunky items like beef, you’ll need a dehydrator with enough space between trays. The design of the Nesco Gardenmaster Food Dehydrator and Nesco Snackmaster Pro Food Dehydrator mean you’re limited on the height of each item. You also won’t be able to use it to proof bread. The Excalibur Electric Food Dehydrator and Samson Silent Dehydrator, on the other hand, have removable trays that let you proof bread, dry flowers and even make yogurt. This can add an element of versatility to your dehydrator that may have you using it more often. Capacity is also important. The Excalibur Electric Food Dehydrator provides 15 square feet of drying space. 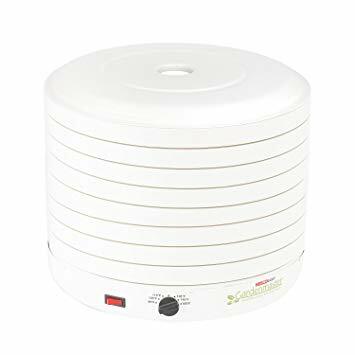 That beats the Nesco Snackmaster Pro Food Dehydrator, which features up to 12 square feet of drying space if you purchase extra trays. 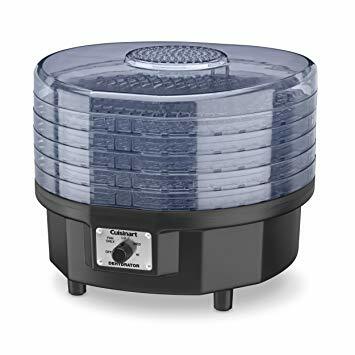 However, the Nesco Gardenmaster Food Dehydrator can expand up to accommodate up to 30 trays, so if you’re interested in drying bulk amounts of food at a time, that might be the best model for you. With a timer, you can set your dehydrator to work and focus on other things. The Nesco Gardenmaster Food Dehydrator and Nesco Snackmaster Pro Food Dehydrator don’t come with a timer. The Excalibur Electric Food Dehydrator has a timer that you can set for up to 26 hours. Once you reach the end of that timeframe, the unit will shut off. The Samson Silent Dehydrator uses a noise-based alert to let you know when your food is finished. One downside to the Nesco Snackmaster Pro Food Dehydrator is that it doesn’t have an on/off button, which means you’ll have to unplug the entire unit when you’re finished. The Samson Silent Dehydrator has a bright LCD screen that helps you follow the process of your food throughout dehydration. Although you can make foods like dehydrated yogurt in the Excalibur Electric Food Dehydrator, you’ll need a special solid mat, which you’ll have to purchase separately. One common issue with dehydrators is dripping liquid. The Nesco Snackmaster Pro Food Dehydrator keeps that from happening, which means you can dry a wide variety of foods without worrying about flavors blending. Dehydrators range widely in price. On the low end is the Nesco Snackmaster Pro Food Dehydrator, which retails well below $100. On the high end, you’ll find the Excalibur Electric Food Dehydrator, which sells for closer to $300. Both the Excalibur Electric Food Dehydrator and the Samson Silent Dehydrator fall in between that range. If you like to keep an eye on your food while it’s drying, the Samson Silent Dehydrator is worth considering, It has a transparent front window that will let you watch. Once your food is done, you’ll have to worry about cleanup. The Samson Silent Dehydrator comes with dishwasher-safe trays, while the Excalibur Electric Food Dehydrator and Nesco’s dehydrators must be hand washed. If you’re going for a hand-washable dehydrator, the Excalibur Electric Food Dehydrator’s trays have a nonstick surface that makes them easy to clean. Nesco’s dehydrators have trays made of fine mesh that may require a little extra scrubbing. The good news is, non-stick dehydrator drying sheets are available that will save cleanup time. For those who are limited on storage, the Nesco Gardenmaster Food Dehydrator and Nesco Snackmaster Pro Food Dehydrator both have space-saving designs. The Samson Silent Dehydrator is also relatively small. The Excalibur Electric Food Dehydrator, on the other hand, is bulky and heavy, weighing in at 22 pounds. Although many kitchen appliances are noisy, a dehydrator runs for hours at a time, so the noise factor can become a nuisance. The Samson Silent Dehydrator is so named for a reason. Its design keeps noise at a minimum during operation. However, the beep that notifies you the time is up is excessively loud, which is especially inconvenient if your dehydration cycle finishes in the middle of the night. For those who are new to dehydrating or just want to get some ideas on different foods to try, a recipe book can come in handy. Both the Nesco Gardenmaster Food Dehydrator and Nesco Snackmaster Pro Food Dehydrator come with large recipe books. You’ll also receive some fruit roll sheets and jerky spice packets to get you started. Many consumers are concerned about bisphenol A (BPA), a chemical contained in some plastics. The Samson Silent Dehydrator is labeled BPA-free to give you the peace of mind you need. If warranty matters, you may want to stick with the Excalibur Electric Food Dehydrator, which covers you with a 10-year warranty. The Nesco Gardenmaster Food Dehydrator and Nesco Snackmaster Pro Food Dehydrator only provide one year of coverage. If you plan to dry meat to make jerky, allow extra time. Whereas you might find items like fruits complete in 10 hours, meat can take an extra couple of hours to finish. It’s also important to note that some are disappointed that their dried meat doesn’t have the smoky flavor you get when you purchase jerky from a retailer. That flavor comes from drying meat in a smoker, not a dehydrator. For the Dehydrator category, we analyzed 118 of the most popular reviews including reviews from Kitchen Gear Zone, Consumer Online Report, Dehydrator Diva, Happy Happy Vegan, Village Bakery, Exchange Bar & Grill and more. The result is a ranking of the best Dehydrators.